Filling up the car is one of the biggest challenges for disabled drivers. 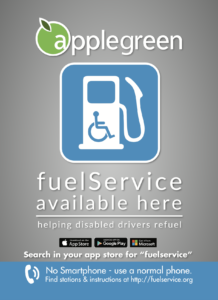 That is why Applegreen are delighted to partner with FuelService. 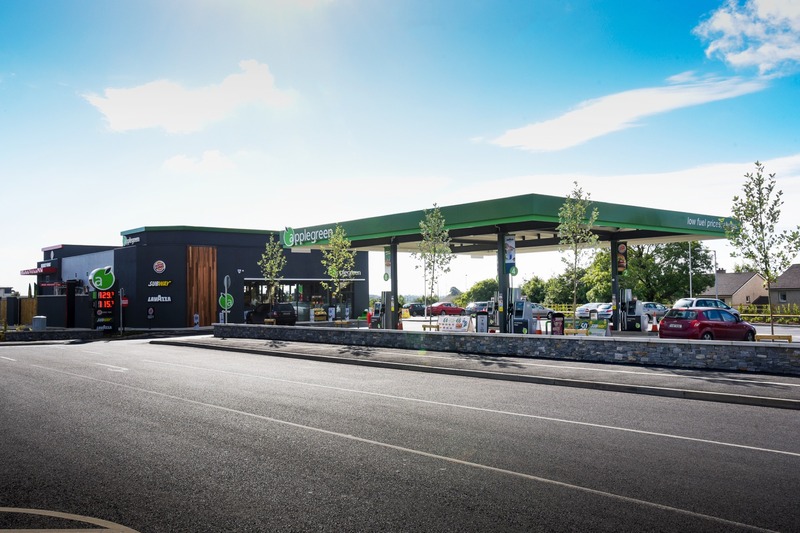 Through FuelService, drivers can now contact Applegreen stations ahead of their arrival and see if they are able to assist them at the pump. Once they have arrived, it lets them inform the station and tells the staff member which fuel pump they are parked at. FuelService is a fully managed cloud based solution that works with the existing telephone in the station for communication. When a driver makes a request, the phone rings and the station staff press 1 if they can help, or 2 if they can’t. Quickly and easily letting drivers know if they can help. FuelService helps overcome some of these challenges for disabled drivers and lets fuel stations service all of their customers. Click here to find a participating station near you.